Amir Khan is a leading public health professional with diverse experience in research, strategic planning, programme development, as well as implementation and management of projects/interventions. The range of his research work includes randomized controlled trial, policy reviews, prospective intervention studies, surveys, evaluation studies, qualitative studies, economic analysis, and stakeholder analysis. Many of the research work has already been published in peer reviewed journals including Lancet, Health Policy and Planning, IUATLD Journal, and Social Science Medicine. Currently he is coordinating a DFID supported five-year communicable disease research programme in Pakistan (April 2006- March 2011). The development experience includes: national and provincial level strategic planning, project formulation, development of interventions, systems and guidelines, as well as development of training materials for managers, care providers and communities. The management and project implementation experiences include: country director of rural health care delivery programme in three provinces of Pakistan (six years), multi-partner research activities with national disease control programmes, working linkages with overseas teaching institutions, and TB and malaria interventions in about fifty districts of Pakistan . Based on recognized performance in the field of public health, elected as a Chair of the IUATLD Health Systems Strengthening and TB Education Working Group (2001 – to date), Vice and then Chair of IUATLD TB Scientific Section (2003 - 2007), member of IUATLD Ethics Advisory Group (2003 - 2008), and member of Executive Board (2008 – to date). Since 2008, the University of Leeds has appointed him Senior Lecturer Public Health (honorary). Mr. Hunaid H. Lakhani has a Bachelors degree in Business Administration from The American Intercontinental University, USA and is a graduate of the Owner-President Management Program from Harvard Business School, USA. Mr. Lakhani has over ten years of experience in the construction industry. He is also the Founder and Chancellor of Iqra University which is ranked amongst leading education institutes of Pakistan. 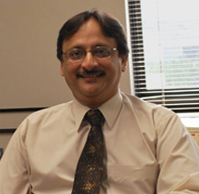 Mr. Lakhani has served as a member of the Sindh Information Technology Board, chaired by the Governor of Sindh. He is also the Founder & first elected President of the Association of Private Universities in Pakistan. He is an active Member of Young Presidents’ Organization (YPO) and is ‘Networking Chair’ of its Indus Chapter. Mr. Lakhani is actively involved in welfare projects. Recently he has helped set up institutions for mentally & physically challenged orphans under the name of “Sweet Home Foundation”. javeria Abbasi is one of the most beautiful, hot and bold actress and model in Pakistan Showbiz Industry. Javeria Abbasi was born in Karachi Sind, Pakistan. Her date of birth is not known and her height is 5′7”. Born to a middle class family Juvaria’s father, a notable writer and her mother, hailing from a family of traditional herbal pharmacists (hakims), she was brought up in the metropolis of Karachi where she later went to college. A woman and a survivor in the real sense of the word she met a fatal Accident some years back that left her with shattered bones and feelings. Miraculously, she fully recovered. Even today she bears the marks of the surgery on her body and extremities. Then, she made her come back. averia has also been nominated for the best actress award in Lux Style award for her tremendous performance in Najia. Her other drama serials include Hum Tv serial “Thori si khushiyan”, Ary Tv serials “Phool Wali Gali”, “Phir Kho jayye na”,Ptv serials “Maamta” and “Chahatain”. Azfar Ali is a Karachi-based director and TV artist behind some of the most groundbreaking Pakistani TV productions of recent times. Having had professional training from the US and UK, and a rewarding experience in the local industry, Azfar Ali stands as a unique blend of talent; innovation and provocative satire that is finger-pointed almost universally back at him. His influences run deep into Pakistani TV history through the 90s and first decade of this century. Mr. Azfar Ali made a debut in 1994 with guidance from Ghazanfar Ali at Combined Productions. Only six months later, he was given his own show as an associate director –Music Channel Charts. Azfar’s first show received a phenomenal reception nationwide as it turned into an exclusive podium for the nation’s music talent to gain TV audience. The show provided first such venue for Pakistani musicians as well as a creative lab for video directors, young producers, actors and associated professionals. The show was pivotal at an age where Pakistani pop music was emerging through its nascent evolutionary stage, and introduced to Pakistan emerging singers and music bands that soon became household names nationwide. Azfar’s next hit show Video CountDown continued to remain a coveted spot in the weekly TV schedules for its more than 150 episodes. 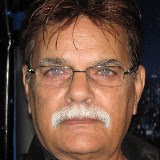 His direction portfolio expanded at a constant pace and he continued to turn his directions into memorable programs –Potluck (the foremost Pakistani cooking show; Director), Jaal (first Pakistani soap opera; Asst. 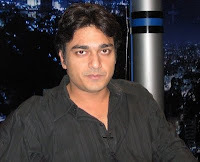 Director), DAIRA (‘telefilm’ based on Mohsin Ahmad’s novel –Mothsmoke; director), Jo Baat Ghar Mei Hai (the first soap opera to be televised on Geo TV; Director) are some of the major landmarks both in his career and Pakistani TV. Azfar’s most evolved creative work in direction, conceptualization and satire, as he puts it, are ‘more of an effort to connect to his audience, to share a viewpoint, and to force audience to attend to a particular issue at hand’. He has been behind some very provocative expressions of art on the screen pertaining to sociopolitical issues that have remained evasive of society’s discussion boards. His Telefilms ‘DAIRA’ and ‘Baarish Mei Deevar’ were critically acclaimed for highlighting sociopolitical injustices; the launch video of Laal Band during lawyer’s movement for ‘Umeed e Seher’ remains Azfar’s creative feat for enacting the suffocation omnipresent in Pakistan’s urban metropolises. In 2004, Azfar teamed up with Mani to form a duo that created an unforeseen fan following of their late-night radio show, turning both of them into youth icons at the forefront of a new style of using mass media. Known for stirring controversies, the show hinted a brewing urban culture which was yet to find its ways into mainstream media. Azfar Ali’s most distinguishing claim to fame is his style of humor which has found its way into TV productions in general. ‘Sub Set Hai’, the first sitcom Azfar directed and acted in, popularized a new style of TV shows that got amply replicated in the industry. ‘Ab Set Hai’ continued the sequel with yet another humorous journey of the same characters. His other direction ‘Mei Aur Tum’ remained well received for its more than 100 episodes. I wanted to pursue in singing which my father never liked but gradually as the time passed I realized that the kind of respect I got from Naat Khwani, I would never had gotten from singing. After doing intermediate I joined Jang Group as columnist and along with it I started writing for many other publications as well. My education and journalism was going side by side. It was Marshal Law in place at that time and I wasn’t aware of the danger that might occur due to my writing as I was new to the newspaper. I kept writing freely that gave me a perception of being a daring lady who wasn’t afraid of anyone. I worked at Jang from 1977 to 1996. After doing my Masters I came in to marketing as I am the one who has studied journalism very carefully and has implemented as well. Since I had studied marketing and advertising in my Masters I joined a cosmetics company as its advertising manager. Once you are an established journalist you can carry on while excelling in other areas as well so I did the same. I used to be in office from 9 to 5 and for 2 hours in the evening I used to go to newspaper to pursue my interest of journalism. I left writing for some times during the shifting of my job at different companies and at the demise of my father. Now I am working at a food company as its corporate head having more than 20 years of marketing & advertising experience. I have kept myself abreast with all the latest developments and changes in marketing domain so I have a clear view of all marketing trends of today and yesteryears. Currently I am also the executive editor of a magazine. What ever I wanted to do I did it with the support of my parents & my brothers and after marriage I am blessed to have such a husband who has always been by my side. Mr. Asif Mahmood, the Secretary of the Institute of Corporate Secretaries of Pakistan is serving for institute since last six years. He is an Associate Member of the INSTITUTE OF CHARTERED ACCOUNTANTS OF PAKISTAN. He has also been serving for the Institute of Chartered Accountants of Pakistan in International Accounting Standards Committee. He takes active participation in the professional activities. He was also the office bearers of the KARACHI INCOME TAX BAR ASSOCIATION in year 2001. In addition to the services as Secretary, he is also the Chairman, Information Technology Committee of the Institute and has contributed a lot for the web site of the Institute. He is very dedicated with the profession. Mr. G. Nizamuddin, 66, is a graduate in Science, LLB, Fellow of the Corporate and Taxation Law Society, Member of the British Institute of Management, Fellow of the Institute of the Commercial Managers (England), Fellow of the Institute of Chartered Secretaries and Administrators - (England), and Fellow of the Institute of Corporate Secretaries of Pakistan. He has been Vice President and Chairman Examination Committee of the ICSP from 1988 to 2005. During holding the office of the Chairman Examination Committee made improvements in the education system and introduction of contemporary syllabus in the light of the modern requirements of the profession of the Corporate Secretaries. He organized innumerable Professional Seminars, and Workshops organized by ICSP, Employer Federation of Pakistan and other professional bodies of Pakistan. The publication of the Journal of ICSP has been initiates by him and the first Editor in Chief of the Journal. he is also the Author of various books written on Duties of Corporate Secretaries, Secretarial Practice, Administration of Company Meetings, and Filing Requirements under the Companies Ordinance, 1984 and Rules, 1984. His various articles have also been published in the national and international Journals. Past President of Rotary Club of Karachi S.I.T.E. and awarded Certificate as one o the best President of the year 1994 - 97 for meritorious services to the community. He was Company Secretary and General Manager of Personnel and Administration of a listed lubricating oil company at Karachi and Company's Representative in the Chamber of Commerce and industry - Karachi. Real name of Shakeel is Yusuf Kamal. He migrated to Karachi, Pakistan, along with his family in 1952. Young Yusuf had a flair for acting since his childhood. During his school days in Karachi, Yusuf regularly participated in the extra curricular activities. Soon after graduation, Yusuf made his presence felt in stage plays as well. Yusuf Kamal changed his name to Shakeel and debuted in the 1966 film, ‘Honehar.' Essentially, Shakeel is a natural actor, who applies himself earnestly as a professional duty. This actor, with a incredibly shrinking hairline, has journeyed from being a heartthrobe for teenage girls to being an Uncle for the same. 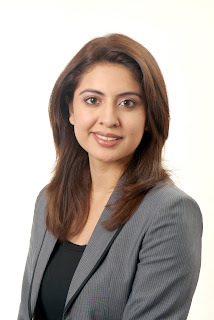 Sidra Iqbal is an internationally acclaimed young celebrity public speaker of Pakistan and has been a passionate debater since her school days. She held the honor of being the youngest finalist amongst 167 participants from all over the country at the Prime Minister's Shield 1999, the most coveted All-Pakistan Debating Championship. In summer 2006, Sidra was awarded a full scholarship to attend the International Relations Summer Program at the Oxford University, UK. After completing her research program, Sidra returned to pursue her calling in television talk show production & hosting and has many hard-hitting productions to her credit. Recognizing her excellent presentation skills, creative firepower and solid teaching ability she has been recently recruited to head the Public Relations division at Ogilvy & Mather Pakistan. In 1999, she became the first Pakistani to win the prestigious English Speaking Union's International Public Speaking Championship in London, UK. She emerged a winner amongst 58 participants from 28 different countries, an accomplishment for which, she was feted at the Buckingham Palace and awarded the winner's certificate by HRH Prince Philip the Duke of Edinburgh. Mohammedi Miabhoy joined Tapal Tea (Private) Ltd. in 1990 as General Manager and is presently holding the position of the Chief Operating Officer. In the year 1991, he was given the responsibility of setting up the sales channel in North which covered all oF Punjab and NWFP. He set up a network of 200 plus distributor and also was instrumental in setting up a sales office and a production facility which is capable of producing ten thousand tons per annum in a single eight hour shift. He came back to Karachi in 2003 and is now responsible for the operations of the company. Prior to Tapal Mr Moahmmedi worked for Dow Chemicals USA, Canadian Jeans Company, makers of Wrangler brand jeans in Pakistan and Continental Biscuits, makers of LU Biscuits in Pakistan. 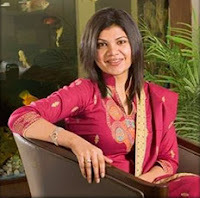 Mehvish Tapal is a director at Tapal Tea (Private) Ltd. After completing an Hons degree (specialization in Business Management) from the Imperial College London, England she joined the family business. With a humble personality and a achievement oriented approach she started off her career as a trainee with a 3 year placement in the Human Resource Department. Well supported by her determination and inherent passion for HR she developed through this period to become a Unit Manager shouldering the responsibility of Talent Management at the company. After completion of her placement in HR she has moved onto a placement in the Marketing Department where she functions as a contributing member of the team looking after brand and corporate portfolio. She continues today as key member of the Strategic Management Team at Tapal Tea. Mr. Aftab Tapal, owner and CEO of Tapal Tea (Private) Ltd., a third generation tea blending and marketing entrepreneur, is a graduate from USA. He has a degree in Marketing with Associates in Applied Science. He joined his family business in 1977. His first professional exposure to the world of tea trading and blending was in 1979 when he was sent to Sri Lanka to spend time with M/s. Hebtulabhoy & Company. Upon his return from Sri Lanka, he started to pursuer his vision of developing a professional organization capable of marketing his blends. He successfully started building brands such as Family Mixture, Danedar, Mezban, Chenak, etc. under the corporate banner of Tapal.In order to provide consistent quality which is his commitment to this consumers, he brought to his organization the discipline of ISO 9001/200. With such focused objectives and honesty in business dealings, Mr. Aftab Tapal has been able to successfully compete against the multinational companies and has captured more than 35% of the market share of the organized market sector of Pakistan and is one of the top of the Top 100 tax paying companies of Pakistan and one of the Top 5 FMCG companies of Pakistan. His steady successes in the business world of Pakistan has won him the prestigious award of the Executive Excellence in 1999 from the Hamdard Institute of Management Sciences, the Export Excellence Award of Sri Lanka 2003 in the tea company for highest importer of any indigenous commodity, the Excellence award 2003 by 21st Century Business & Economics Club for his renowned personality in the field of marketing, and the Award of Excellence 2004 from Marketing Association of Pakistan for outstanding performance in the field of Marketing and Management, and for making a significant difference in his organization’s standing in the corporate sector. 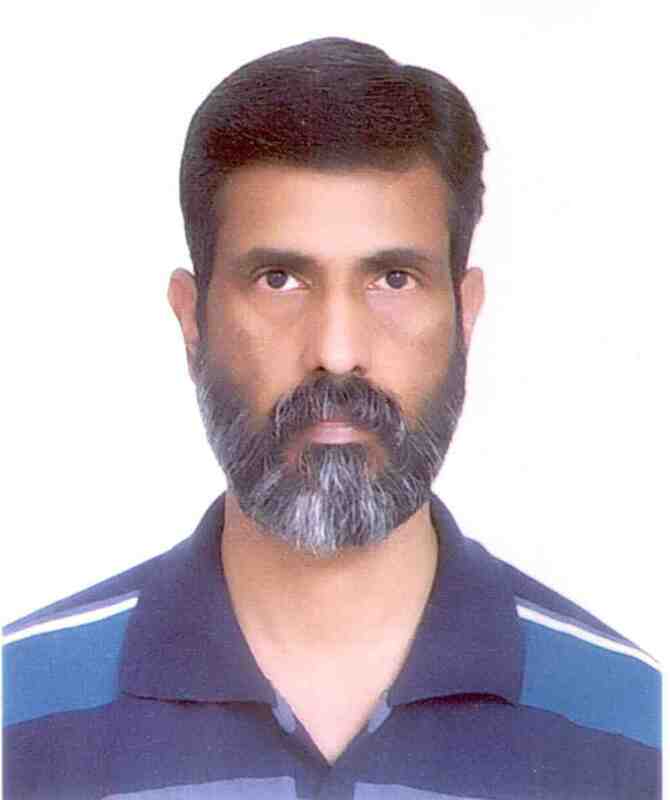 Dr. Muhammad Mahmud is a Professor and Dean at Khadim Ali Shah Bukhari Institute of Technology (KASBIT), SMHS, Karachi. 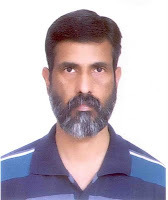 Before joining (KASBIT), Dr. Mahmud served Institute of Business Administration (IBA), Karachi for 27 years at various responsibilities (teaching, research and administrative). He has MBA degree from the IBA Karachi and earned Ph.D. in Business Administration from the University of Malaya, Kuala Lumpur, Malaysia. His primary expertise is Corporate Finance. 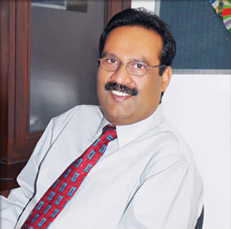 Dr. Muhammad Mahmud has published more than 20 articles in reputed local and international publications. He was awarded third and fourth prize for participating in research essay competition by The Institute of Bankers of Pakistan in 2002 and 2003, respectively. Dr. Affan Syed is Assistant Professor in FAST NUCES Islamabad Campus.He is Post-Doctoral Research Fellow at the Information Sciences Institute (ISI).He is affiliated with the ISI Laboratory for Embedded Networked Sensor Experimentation (I-LENSE) Lab. His Areas of interest are to develop an energy-transference architecture for wireless sensor networks, underwater sensor networks, network time-synchronization, high-latency medium access control design, and industrial wireless-mesh networking. Mr. Aamer Munir is Assistant Professor in Department of Electrical Engineering FAST NU Islamabad. He has worked in well known organizations. His areas of interest are Digital Signal Processing, Video/Image/Audio/Speech Processing, Computer Vision and Pattern Recognition. Ayesha Umar Khan is a Lecturer in FAST Business School. She is a graduate of NUST Business School and did her Masters from Brunel Business School, London with merit. Her areas of interests are marketing, advertising, branding, entrepreneurship etc.